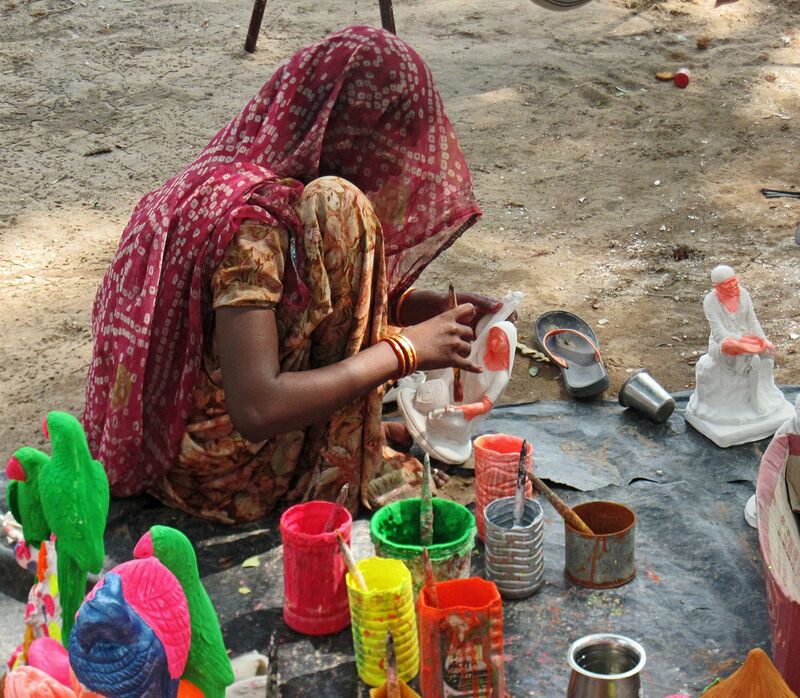 These are photographs of both female and male artisans in India making small statues out of plaster of paris and mud for sale to tourists. Many of these figurines and figures are replicas of various gods, goddesses and saints and are often sold outside temples. The pictures were taken on the way from Bhubaneshwar to Puri, just off the main road. This photograph is a close-up of a man working on a small statue of Sai Baba of Shirdi. He is painstakingly painting the eyes of the figure. Women work alongside the men. In certain parts of India (the north and east) they cover their heads. This woman is working on a statue of Mirabai, a saint. Around her are lying other painted figures. Birds like parrots and peacocks are popular in India. Bright green and bright orange are popular colors. Here is another picture of the same woman. She is a mother of a toddler who is resting in plain sight on a home-made hammock in the background. 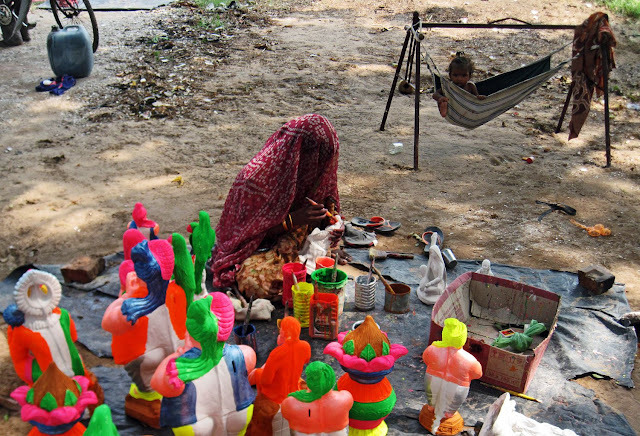 The brightly painted figurines are visible in the foreground. 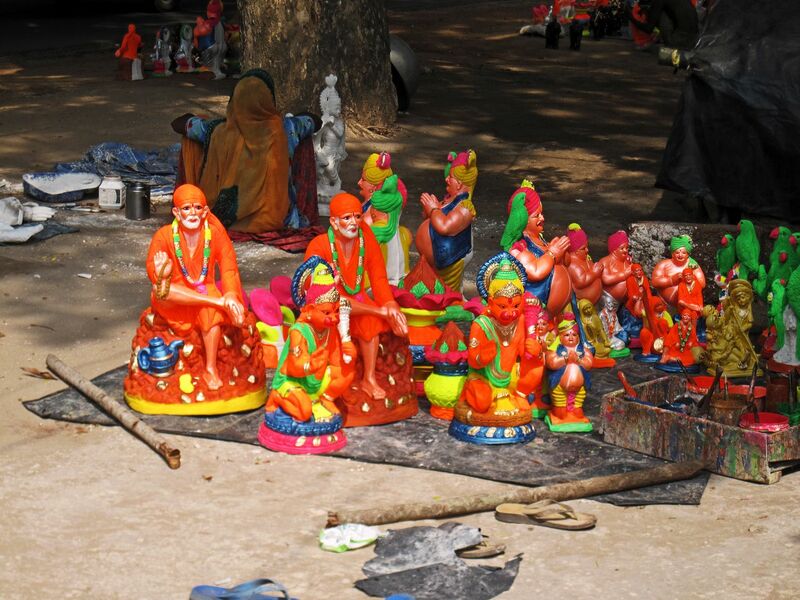 Here are some of the pretty and colourful statues ready for sale. 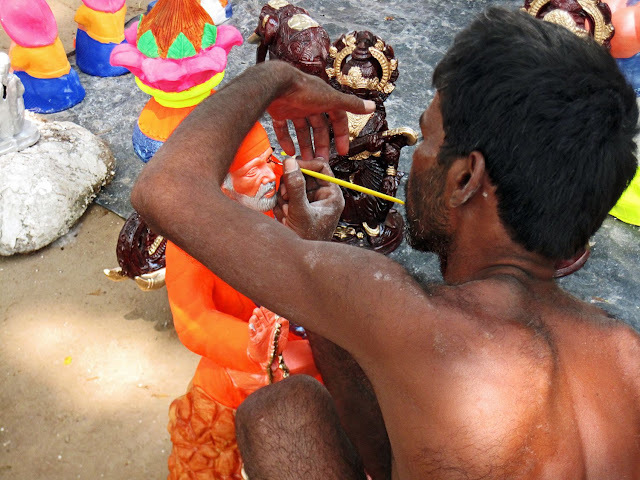 Images of different gods like Hanuman can be seen in the photo.